If you live in Vermont, then you reside in one of only a handful of states that still collect a local death tax. The estates of Vermont residents, as well as the estates of nonresidents who own real estate, tangible personal property, or income-producing property located in Vermont, are subject to a local death tax under the following guidelines. NOTE: State and local laws change frequently, and the following information may not reflect recent changes. For current tax or legal advice, please consult with an accountant or an attorney since the information contained in this article is not tax or legal advice and is not a substitute for tax or legal advice. If the deceased individual was a resident of Vermont at the time of death, the estate may be subject to the Vermont estate tax if the federal gross estate exceeds $2.75 million on the date of death or if the estate is required to file the federal estate tax return—IRS Form 706, United States Estate (and Generation-Skipping Transfer) Tax Return. 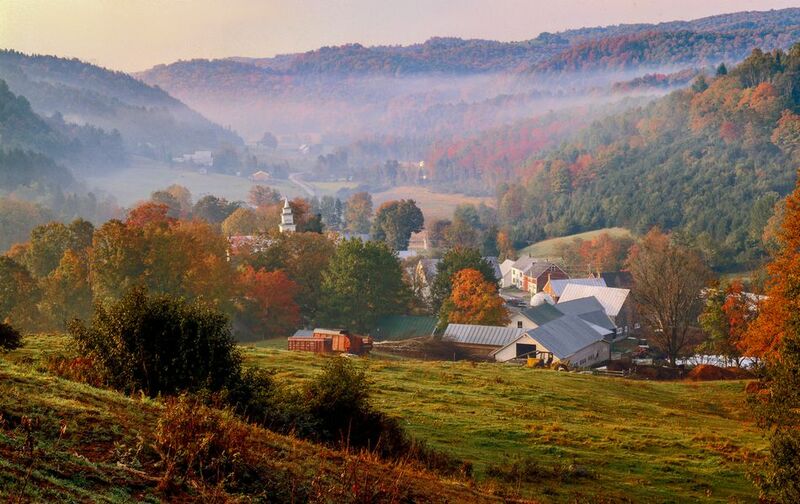 For nonresidents of Vermont, an estate may be subject to the Vermont estate tax if it includes Vermont property assets and the federal gross estate exceeds $2.75 million on the date of death or if the estate is required to file a federal estate tax return. The personal representative or other fiduciary representing an estate that is subject to the Vermont estate tax must complete and file the Vermont Estate Tax Return, Form E-1. If no federal estate tax is due and no federal estate tax return (IRS Form 706) is required to be filed, the estate representative must still complete and file a pro forma IRS Form 706, including all exhibits and appraisals, with the Vermont Estate Tax Return. When federal estate tax is due and all assets are located in Vermont, the first page of the IRS Form 706 must be included with the Vermont estate tax return. When federal estate tax is due and some assets are located outside of Vermont, IRS Form 706 must be attached to the Vermont Estate Tax Return, but exclude exhibits and appraisals. A duplicate of the estate tax closing letter issued by the IRS must be filed with the Vermont Department of Taxes. Outright transfers to a surviving spouse are not taxable. For married couples who have used AB Trust planning in the past, since the Tax Cuts and Jobs Act of 2017 doubled the basic exclusion amount to $11.2 million in 2018, these trusts may no longer seem useful. A married couple can now pass on $22.4 million (as the maximum) gift and estate-tax free. This will remain in effect until 2025. After that, levels will revert back to those stated prior to 2018. That's not to say that AB Trusts no longer have merit. While some states allow a deceased spouse's estate to make an election to treat a trust of which the surviving spouse is the sole beneficiary as qualified terminable interest property (QTIP) for purposes of calculating the local estate tax, Vermont law doesn't specifically allow for this. However, one commentator on Vermont estate taxes highlighted that "representatives of the Vermont Department of Taxes informally said that Vermont will recognize whole or partial QTIP elections for properly drafted trusts as long as the election is, or would be, binding for both federal and Vermont estate tax purposes." Married Vermont residents should consult with a Vermont estate planning attorney to determine if they can incorporate ABC Trust planning into their estate plans. ABC Trust planning differs from AB Trusts in that the former sets apart assets that may be taxable when the second spouse dies from taxes that are not. An ABC Trust is also referred to as a QTIP Trust. The Vermont Estate Tax Return, Form E-1, must be filed, and any estate tax due must be paid, within nine months of the deceased individual's date of death. An extension of time doesn't extend the time to pay, so an estimate of the estate tax that's due has to be paid at the time you make a request for that extension. In May 2016, the Vermont legislature voted to change how the estate tax is calculated. For people who passed away on Jan. 1, 2016, or after, the estate tax only applies if the value of the estate is $2.75 million or more. The tax is calculated on any amount over $2.75 million, not from the first dollar. A flat tax rate of 16 percent applies, and gifts made within two years of death will be added back. The Vermont Estate Tax Return, Form E-1, contains "Computation Schedules" for calculating the Vermont estate tax bill for residents and nonresidents. No, Vermont doesn't collect a local inheritance tax, which is a tax assessed against the share received by each individual beneficiary of an estate as opposed to an estate tax. For more information about Vermont estate taxes, refer to the Vermont Department of Taxation's website. You may also call the Vermont Department of Taxation at (802) 828-6820.